1) 2019 Schedule of Events: June 22 & 23; July 20 & 21; August 17 & 18. Some months ago, the platform we were using to support our extensive Internet Forum went off line, taking all of our past history and list of subscribers somewhere into hyperspace. This forum is the one place where you can get up-to-date industry news, make new friends who have similar interests as you, and have lively discussions about mining gear and the gold mining adventures (and misadventures) you and other prospectors are having. You do not need to be a member of The New 49’ers to become part of our forum conversation. 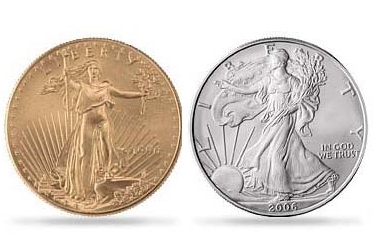 3) Upcoming Legal Drawing Will Have 4 Ounces of Gold & 10 Ounces of Silver Prizes! This gold has been divided into 20 prizes and added to a 1-ounce American Gold Eagle, 10 tenth-ounce American Gold Eagles and 10 one-ounce Silver Eagles in our ongoing Legal Fund drawing which will take place on 22 February 2019. That’s only about 2 weeks away! This case originated in Oregon and has been supported along its way mostly by prospecting associations based in Oregon up until now. The case is challenging the State of Oregon’s authority to prohibit mining on the federal lands. Many of you will recall that we made the final cut in the previous session of the High Court in Rinehart v. California just this past year. The Rinehart case was challenging California’s authority to prohibit mining on the federal lands. Ultimately Rinehart was rejected by the U.S. Supreme Court largely because of the Solicitor General, who has the authority to provide “yes” or “no” advice to the high court as to which of the final cases should be reviewed. The Solicitor General advised the Court to reject Rinehart largely on the grounds that this Bohmker case would soon be along, and it frames the very same arguments in a more straightforward manner than Rinehart. I won’t go into the legal arguments here because of time and space. Let me just say that 150 years of case president supports our side. We believe that the existing High Court will also see it our way. The challenge is to get the U.S. Supreme Court to review Bohmker. After 9+ years of painful and expensive litigation, this is the industry’s final ongoing attempt to win our mining rights back. Since the Solicitor General advised the High Court to reject Rinehart, our attorney is requesting we make an all-out industry-wide effort to encourage Mr. Trump to become involved, along with the existing Solicitor General and other officials who have an active interest in mining activity on the federal lands. This is a letter writing campaign (postal mail). I have attached a sample letter which can be cut and pasted into a letter of your own – or you can just add in the correct date at the top, your name and address at the bottom, an original signature; and mail the letter to Mr. Trump. It would be very helpful if you copy your final letter and send it to each of the officials listed at the bottom of the letter, especially the Solicitor General. Our attorney believes that hard copy letters in the mail are likely to have a greater impact than email. I agree that perhaps only a single aid might view an email, while letters from a lot of people must be opened, handled and put into a location where they will stack up for many to see. I won’t say that this is the end of our road, because there are dozens of other lawsuits between the Trump administration and various States over who has the controlling authority over the federal lands. The outcomes of those cases will perhaps affect us in a positive way. But this Bohmker case is the crown jewel for us; because it directly addresses the special status and property rights afforded to miners when we make valuable discoveries on the federal lands. Other resource developers on the federal lands do not possess these rights. Over a century of controlling case law confirms that mineral development is the priority use of the federal lands. This is my strongest request for you guys to support this final effort by our industry to win our rights back. For as long as we have been fighting, and all the money we have spent over the past 9 or 10 years, it has all come down to this: We need to push as hard as we can to get Bohmker in front of the U.S. Supreme Court! My sincere thanks to each of you who support this final effort!